Dr. Hughes was raised in the village of Law in Lanarkshire, Scotland. He was educated at Wishaw High School before training as a Metallurgist with Clyde Alloy, Craigneuk. He completed his studies at Coatbridge Technical College, Strathclyde University and the University of Dundee. Dr. Hughes retired as Chief Executive of Scottish Engineering in December 2012. He is the former Chairman of the Advisory Board of Primary Engineer Programmes, taking engineering to Primary Schools throughout the United Kingdom. Previously, Dr Hughes was the Chairman and Managing Director of Glencast Ltd, Leven, Fife, the specialist Steel Foundry and Engineering Company. Glencast was formed in 1983 when Dr Hughes led a Management Buy Out of the former National Steel Foundry, Kirkland Works. Glencast won the prestigious Queen’s Award for Technological Achievement in 1990. Dr Hughes sold Glencast to NACO Inc, Chicago, Illinois, USA in December 1994. Peter has enjoyed a very busy career, having represented various Scottish and UK bodies at National and International level. He has been a member of numerous boards and received many honours too numerous to mention here. He is a regular spokesman on Scottish affairs via television, radio and press, particularly regarding matters affecting the Scottish Manufacturing Engineering Sector. Dr Hughes was awarded the OBE in the 1993 for his services to the UK Steel Industry and was elected a Fellow of the Royal Academy of Engineering in 1995 and Fellow of the Royal Society of Edinburgh in March 2013. He has been active all his life and is a former Scottish Internationalist footballer, at Schoolboy and Youth levels. He scored the winning goal for Scotland against England for the Scotland Under-18 Youth Team, which won the British Youth International Championship 1964-65. He continues to be active in tennis, golf and curling. He was ordained an Elder in the Church of Scotland 1976 and remains active in the kirk. He loves young people and is invited regularly to schools throughout Scotland to introduce students to the wonders of engineering and always arrives carrying multiple five pound notes for prizes to encourage the young people’s participation. A keen musician with his own folk group, “East Coast Haar” he plays a variety of instruments, which he uses during presentations at schools, colleges and universities around the country to promote Science, Technology, Engineering and Maths. Dr Hughes is a popular after dinner speaker at events throughout the UK and has a particular interest in Scotland’s National Bard, Robert Burns, and regularly presents the toasts: “The Immortal Memory” or “The Lasses”. He has performed at Burns events around the world including South Africa (Cape Town) and the USA (New York, Atlanta, Dallas) as well as Canada (Calgary and Medicine Hat) and in Australia (Camperdown, Melbourne Bendigo) and throughout the United Kingdom and in Eire. He is a Past President (September 2015 to September 2016) and member of The Robert Burns World Federation and is currently RBWF Marketing Convenor. He is a member of numerous Burns Clubs. Finally, any monies that he receives for his speaking engagements or performances of this folk group he donates to charity, currently, The Robert Burns World Federation. Jane was born in Dumfries but brought up in the nearby town of Sanquhar. Both towns once ranked as Royal Burghs and both like Ellisland are on the River Nith. Growing up in true Burns country Jane has been long steeped in Burns lore, starting with her father’s influence and more formal learning at school where she routinely entered the annual Burns competitions. After a number of years, Jane returned to Dumfries with her two young daughters and obtained employment in a variety of positions in the hospitality industry, with a spell in insurance as well. A real leap forward happened when she was appointed manager at Robert Burns’ favourite Howff, the Globe Inn where of course the Dumfries Howff Club has its meetings. By working at the Howff Club events she soaked up all the speeches and toasts not only learning about the bard but honing her speaking abilities. With her daughters grown up and with two grandsons, she was able to turn her attention to Burns and soon became President of the Dumfries Ladies Club No. 1. She became involved with the Southern Scottish Counties Burns Association and served a term as its President. Later she became active with the Robert Burns World Federation serving as its President in 2013-2014. In this role Jane travelled far and wide becoming a well known and popular ambassador for all things Burns. At the 2017 Convention Jane was elected an Honorary President of the Federation, a well-earned recognition by her peers. Jane is an honorary member of the Dumfries Howff Club, only the second woman so honoured by this all male club, as well as being the only woman elected a Cronie by the Jolly Beggars of Medicine Hat. Jane has spoken all over the world on Burns; including Russia, Canada, USA, Australia, Norway and Austria. She is a member of the Robert Burns World Federation Guild of Speakers. Now retired she can devote herself to the passion in her life. Willie was born in Glasgow and subsequently moved with his family to Dundee, as his father was in the Royal Air Force. Willie returned to the east end of Glasgow, at age 10, hence his Bridgeton Burns Club membership which he joined in 1996 and still retains although no longer in the area. His first introduction to Burns was at Secondary School, when the English teacher choose Willie to do the reading of A Mans A Man for A' That, which he later performed at the School Concert. In his early 20s Willie moved to Coventry, where he joined the Tam O'Shanter Burns Club. When he moved to Polmont (near Falkirk) Willie joined the Higginsneuk Burns Club, where he was President for 3 years. Willie is currently a member of the Prestwick Burns Club, in Burns County of Ayrshire and a member of the Robert Burns World Federation, where he currently serves on the Schools Committee with an involvement in the Local and National Competitions of Burns Songs, Poems, Instramental and Bagpiping. 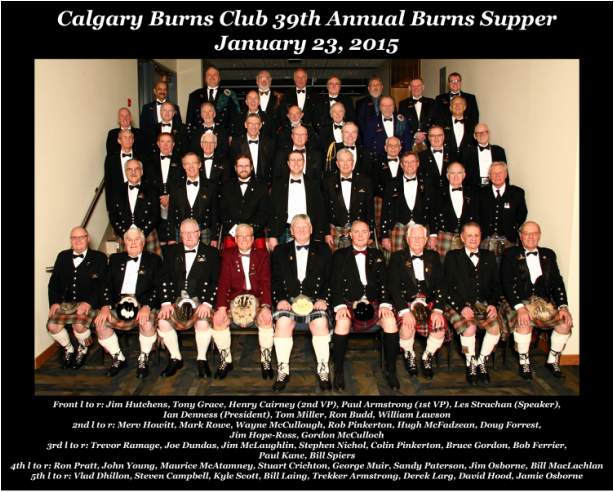 In 2014 Willie attended the International Conference of the Robert Burns Association of North America, where he had the marvellous experience and great comradeship on Burns Freens, which compelled him to attend Calgary in 2015 and Dallas 2016. In addition to delivering numerous Immortal Memories at Masonic Lodges, Rugby, Golf, and various Sports Clubs, Willie has been in much demand as a speaker at venues across Scotland and abroad. Angus was born in Kilwinning, Ayr and brought up in West Kilbride attending Ardrossan Academy. After serving an apprenticeship as a joiner, Angus went on to be a Specialist Surveyor in the building preservation industry. For the last fifteen years he has owned his own company, Angus Middleton Damp and Decay, working in that business. He is a former Scottish Football Association referee, working in the Ayrshire Amateur and Junior League. The highlight of this career was refereeing the 1990 Scottish Amateur Cup Final at Hampden. Angus has been very active over the years with various Burns clubs, and is the current Bard of the Skelmorlie Poosie Nansie Burns Club as well as Honorary President of the Greenock Burns Club, better known as The Mother Club. In addition he is a Past President of the Ayrshire Association of Burns Clubs (2006-2008) as well as being the president of the Robert Burns World Federation in 2006-2007. Angus is still active in the World Federation as the Vice-President of the Federation's Past Presidents' Association. He is much in demand as a speaker and reciter of and on Robert Burns and his works, performing at venues such as Edinburgh Castle, Stormont, The Cutlers Hall, the Bachelors' Club and (let it be whispered), Ibrox. He is a past winner of the Tam O'Shanter competition held annually at the Globe Inn, Dumfries. Leslie was born in Kilmarnock, Ayrshire near the birthplace of Robert Burns, and in the town that of course printed the first edition of his poems - The Kilmarnock Edition. He grew up in the same countryside as Burns and like all Scottish school children was introduced to his works at an early age and all through his school years. He literally learned his first poem at his mother's knee and she made sure Leslie learnt and recited it properly. His father was a great one for quoting Burns as well as telling wonderful Burns "tales". At fifteen he joined the British army, serving for seven years, during which time Burns may not have been front and centre in his life, but was never far away. Leslie also enjoyed two months in Medicine Hat towards the end of his army career, but even this was not enough to persuade him to move to Canada. During his service he met his future wife Nancy in Germany, (she happened to be American), and when his time was up they went to the United States. He and his wife quickly established themselves in Bedford, Virginia where he worked in sales for fifteen years after which they opened an antique and rare book business. Leslie played competitive rugby until his mid-40s and also competed in heavy events at Highland Games in the States and held the heavyweight wrestling title at Grandfather Mountain Highland Games for twelve years - so don't tangle with this man!! He continued to read and study the life and works of the bard and in the early 80s started giving talks and recitations to Scottish Societies and other groups and has continued on with this lifelong love of the poet. Leslie is currently the USA director of the Robert Burns World Federation and a USA director of the Robert Burns Association of North America. Sandy Paterson was born in Calcutta, India. At Indian Independence, the family moved to Gullane, East Lothian for six happy years where he went to the local school and learned joined-up writing on a slate. At the age of 9 his parents moved to Uddingston, outside Glasgow, and he was sentenced to boarding school in Edinburgh at George Watson's College, an experience from which he is still recovering. There he made life-long friends as well as enemies - most of whom he still has to get even with. In Glasgow, at school holidays, his father took him to the Barrows and to Rangers/Celtic matches where he learned a completely new language. He studied at Edinburgh Medical School and worked in Haddington (where he sewed up accidents from the nearby A1) and then Dunfermline where he got little sleep for a year. He decided he was interested in the new science of Oncology and trained at the Royal Marsden Hospital and St. Bartholomew's Hospital, London, England. In 1975 he moved with his young family to Edmonton to the newly established Cross Cancer Institute. He was also a member of the Edmonton Burns Club. In 1990 he was appointed Director of Medicine at the Tom Baker Cancer Centre and Head of Medical and Radiation Oncology at the University of Calgary. He currently practices clinical oncology and conducts international and national cancer clinical trials. He is on the Board of Directors of the U.S. based National Surgical Adjuvant Breast Project, and chairs Health Canada's Scientific Advisory Committee on Oncology Therapies. He and his wife, Wendy, have four children: Lisa, Hilary, Feonagh and Callum. His hobbies include amateurish writing, mediocre golf, and sailing (having located the site of a sunken ship in the old Scottish Colony of Caledonia Bay, Panama which he hopes to salvage one day). 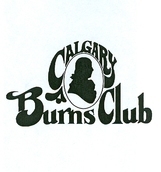 The Calgary Burns Club welcomes Len Murray back to deliver the Immortal Memory on Robert Burns' birthday in January, 2013. Len was last with us in 2007 and is back by popular demand. Len was born in Glasgow and qualified as a solicitor out of Glasgow University, where among other achievements he represented them at football. He remained in practice in Glasgow until his retirement in 2003. He was involved with the Law Society of Scotland for many years, tutored at Glasgow as well as Strathclyde Universities, lectured at the Tulliallan Police College for sixteen years and is currently an Ambassador for Glasgow Caledonian University. Len is recognized as one of the country's top after-dinner speakers and is a former winner of the "Wag of the Year" award. He is also recognized as one of the country's foremost speakers on Robert Burns. 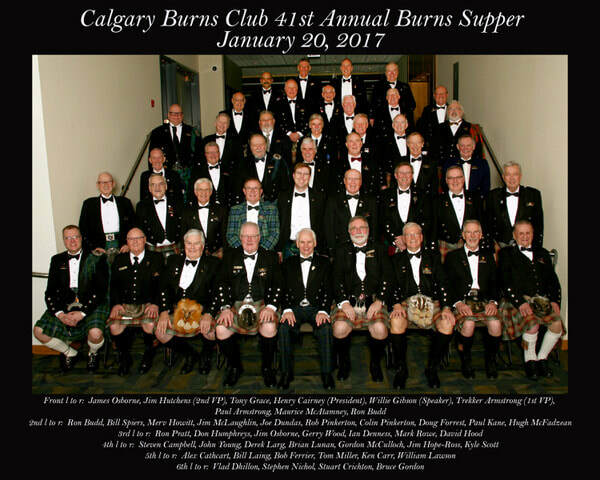 He is the Dean of the Guild of Robert Burns Speakers and has spoken at over three hundred Burns Suppers on five continents from Calgary and Edmonton in the west to Melbourne in the east. He is a member of the Robert Burns World Federation and is Honorary President of the Greenock Burns Club - the "Mother Club". In 2009 the Scottish Parliament held its first ever Burns Supper with dignitaries from all over the world and Len gave the Immortal Memory. John was born in the village of New Cumnock and raised in Hurlford, both in Ayrshire. Leaving school at 15, he served his time as a blacksmith with the National Coal Board, before joining the Glasgow Police Force in 1961 on his twentieth birthday. Spending most of his time in Glasgow, John did a two year stint as Chief Inspector at the Police College in Tuliallan. He retired with the rank of Superintendent in 1993. John has been married to his wife, Ruth, for forty six years, and they have three children and five grandchildren. Apart from his family, John spends time on the golf course and is a past captain at the Ralston Golf Club in Paisley, and is also a church elder at Cardonald Parish Church. John is also a shareholder in Glasgow Rangers football club. As a Burnsian, John is very active with a membership in many clubs, including Mauchline and Dumfries, and is a past president of The Robert Burns World Federation. He speaks at about fifteen Burns Suppers each year as well as at other Burns events, and annually organizes a special evening at the Bachelors' Club in Tarbolton, where the tickets are much sought after. Cammy joined Her Majesty's Forces at the age of sixteen and saw service in North America (on a tour with Columbia Artists), Northern Ireland, England and Hong Kong where he was present at the handover of that Territory to the Chinese in 1997. Always involved with music, he joined the Highland Band of the Scottish Division which enabled him to visit New Zealand, Malaysia, Cyprus, South Africa and Belize. During this time Cammy was also deployed on two occasions on active service as part of the peacekeeping force in Kosovo, and then later to Kuwait and Iraq in 2003. Looking back on his musical military career, Cammy is particularly proud to note that over the years he has played at The White House, Madison Square Gardens and at Modena (Luciano Pavarotti's hometown), as well as many performances at Murrayfield, Holyrood Palace and the Edinburgh Military Tattoo, which was where we as a Club first met him. During this latter time, he also studied at the Open University, graduating with a First Class Honours in Humanities and Music. Cammy is very active in the world of Robert Burns. He is a member of the Bowhill People's Burns Club in Cardenden, Fife, the Edinburgh Burns Club and the Tarbolton Bachelors Club, as well as being an independent member of the Robert Burns World Federation. He is also the Bandmaster of the Crochallan Fencibles. He is a past winner of the Tam O'Shanter competition run by the Dumfries Ladies Burns Club as part of the Nithsdale Festival, and the current holder of the World John Lapraik speaking contest held annually at Muirkirk, and the Whistle contest held each year at Friar's Carse, just a mile or so over the field from Ellisland. Never one to rest on his laurels, Cammy is currently pursuing a PhD at Glasgow University's Centre for Robert Burns Studies. Cammy married his wife Gerry at Roslin Chapel and they have two daughters - Murrin and Maggie. Willie was born in Ayrshire, as were his father and grandfather, who ensured that he became familiar with the works of Robert Burns from an early age, and in fact he was still a teenager when he first spoke at a Burns Supper. Since then he has been much in demand as a speaker at Burns Suppers both large and small and both in Scotland and outside. He has delivered Immortal Memories in such diverse places as Cairo, Kenya, Abu Dhabi and Dubai. This would appear to be his first venture into the New World. As well as Burns, Willie has two other passions in life - apart from his family that is. He graduated from the University of Glasgow with a degree in Private Law and promptly joined the law firm of Brechin Tindal Oatts as an apprentice and has since risen to his present position as the Chairman. His other passion is soccer and for fifteen years has been a top class referee, during which time he was in charge of over five hundred Scottish Senior matches, including the Scottish Cup Final, the Scottish League Cup Final and the Scottish Women's Football Association Cup Final! Before age finally caught up with him, he was on the FIFA List of International Referees and officiated in twenty seven different countries at seventy one European and World matches, including working as the fourth official at the 1999 UEFA Cup Final in Moscow. Today in addition to his legal work, Willie makes occasional contributions to radio and television football programs. He also finds time to be a keen golfer with a (rising) handicap and is an active member of three clubs, including Prestwick St. Nicholas. Robbie Glen is a great favourite on the after-dinner circuit, particularly in his native Scotland. He claims to have been sired by an Ayrshire man out of a Renfrewshire lady, but reared in Lanarkshire. He was educated at Hamilton Academy and Strathclyde University. He taught for one year in Blantyre before joining the Prison Service as an Assistant Governor in 1969. Until his retirement in 1996, Robbie served as Governor/Acting Governor of several large adult and youth offender institutions in Scotland, including Cornton Vale – Scotland’s only female establishment – and the famous Barlinnie Prison in Glasgow. In his youth he played junior football professionally, but that career was cut tragically short at an early age due - he avows - to lack of ability. He still holds the Lanarkshire Schoolboy 440 yards record, because it’s now gone metric! Robbie is married with two daughters, the younger of whom is profoundly handicapped. Robbie developed a walking aid for her with his staff and prisoners in 1981 which is now being used in 41 hospitals and schools in Scotland to teach handicapped children how to walk. Peter joined the Bank of Scotland in 1972 and his current position is Area Director for corporate business in Edinburgh. A keen golfer, Peter was Chairman of Glenbervie Golf Club for five years and has a handicap of 11. He is a supporter of Falkirk Football Club and goes to the games when time permits. His reputation as an after-dinner speaker has grown considerably over the last year or two and he can regularly be seen at weekends entertaining at corporate or sporting functions throughout Scotland. He is a founding member of the Friday Night Burns Club No.1069 and regularly, during the month of January, celebrates the life of our national bard. His ambition in life is to be the last man on earth, just to see if what all these girls said to him as a teenager was true! He lives in Falkirk, has 3 children, a few ex-wives and a big mortgage. Len is a Glaswegian by birth. He played football in his youth and at Glasgow University. He was once told that there was only one reason he was not chosen to play for the Scottish Universities - he was not good enough. He obtained a Bachelor of Laws from Glasgow University. He practised as a solicitor in Glasgow for over forty years and is now retired. He says that he wishes he had done so years ago. So do many of his former clients. He now lives in Milngavie, not far from Glasgow, but a long way from Twechar. Len practised in the Scottish Courts throughout his professional life and he built up one of the most respected law practices in the country. He was once described by a High Court judge as "the most respected pleader of his generation." His colleagues nicknamed him "The Silver Fox" though they could never be persuaded to say why. Len was the first ever media spokesman for the Law Society of Scotland in litigation matters and in that capacity he appeared regularly on radio and television over the years where his views were sought, but seldom heeded, on a wide range of topics. He is a Knight Commander of the Holy Sepulchre, a Knight of Grace of the Sovereign Order of St. John of Jerusalem, (Knights Hospitaller), a Justice of the Peace, and a Solicitor to the Supreme Courts of Scotland. Apart from his abilities as an after-dinner speaker, Len Murray is generally recognised as one of the foremost speakers on Robert Burns. He has spoken at over 300 Burns Suppers in many parts of the United Kingdom and abroad. He is an Honorary President of Greenock Burns Club, the oldest Burns Club in the world and a Life member of that Club. 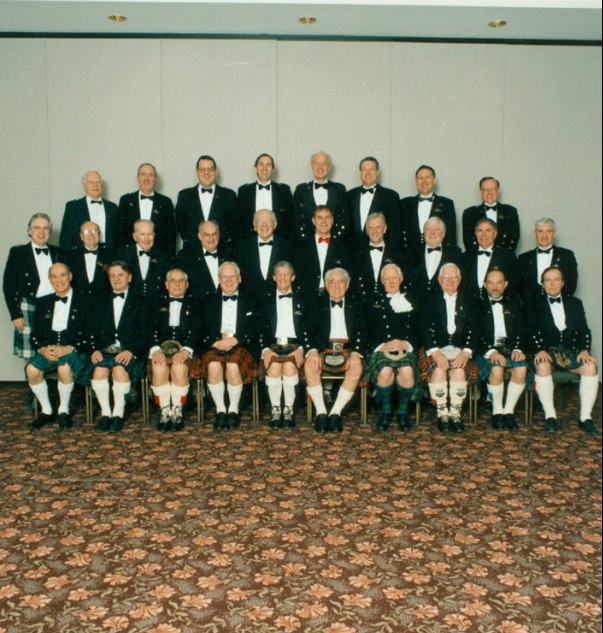 For more information on the life and times of Len Murray, you are encouraged to buy his autobiography, entitled "The Pleader", although, sadly it does not contain one of its most memorable chapters: Len's Immortal Memory addressed to the 31 st Annual Calgary Burns Club's Burns Supper.